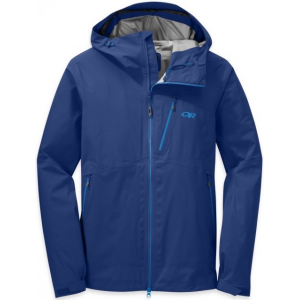 The author of this review is an employee of the Equip Outdoor corporation, which owns both the Rab and Lowe Alpine brands. In the spirit of full disclosure, (and to follow the Trailspace review rules!) it is important to note that I am an employee for the Rab brand. That being said, I am sincerely stoked on the Muztag Jacket! 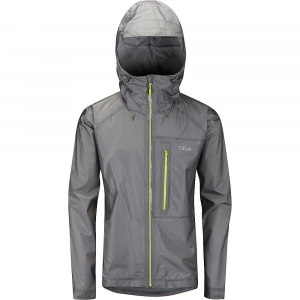 When I picked up the Rab Muztag Jacket I was looking to add a very lightweight, but truly protective shell to my arsenal. I had been working with an old eVent shell that didn’t fit quite right, and was debating between the Myriad NeoShell or the eVent Muztag, and I’m glad I landed on the Muztag. I was interested to check out the new, supposedly more breathable DVstorm membrane from eVent, and it didn’t disappoint. The DVstorm isn’t quite as breathable as a NeoShell membrane, but the added wind and weather protection is worth it for me. 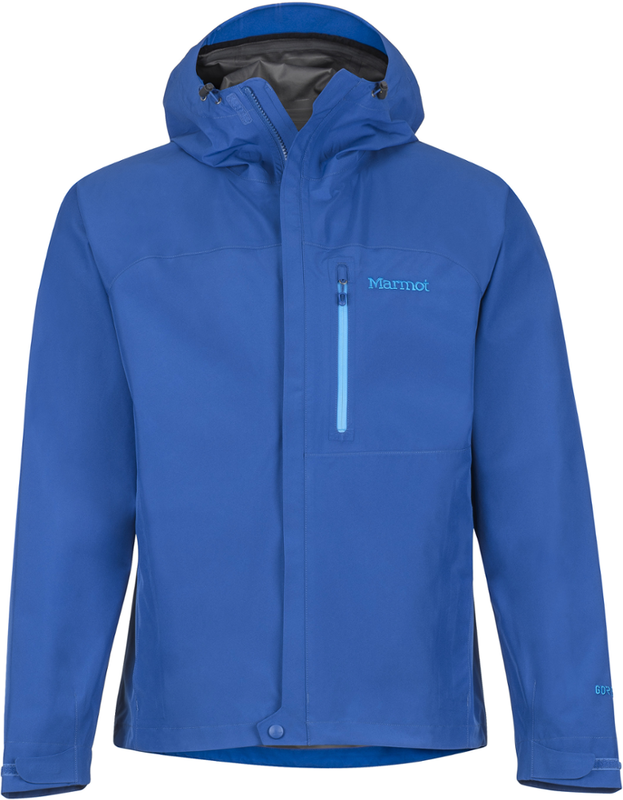 Breathability: This Muztag is noticeably more breathable than my last eVent shell, and I was surprised on my first day of use when I was able to wear the shell during the entire hike out from Loch Vale in warm conditions, and even kept the jacket on in the car for about an hour before realizing it. During a high-intensity uphill skin the Muztag proved a bit too much, but this was expected. Weather Protection: While skiing at the resort, the Muztag proved every bit as windproof as the Gore-Pro pants that I was wearing, despite being a lighter and thinner material. 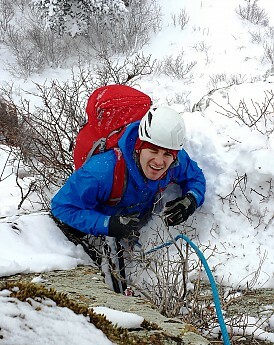 Additionally, during a few particularly wet days of ice climbing the shell shed water like a champ. 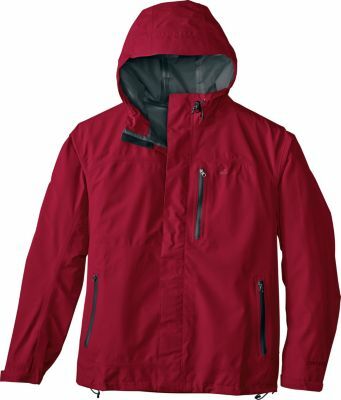 Durability: I was nervous of shredding the shell while climbing because of its lightweight face fabric, but after off-widthing and arm-barring in a sharp gneiss crack outside of Golden, CO, I noticed zero abrasion and was sold on the overall durability. Noisy: I felt like the material was a bit noisy, as is supposedly common to all eVent shells, and with the hood on it was a bit difficult to hear a partner from a distance. Testing: I tried to test the Muztag in a wide variety of uses and conditions and used it in Rocky Mountain National Park for some ice and mixed cragging, at the ski resort for a few days of skiing, a few long skins during a day of backcountry skiing, standing around in rough conditions at an event and another few days of ice and mixed climbing around the Front Range. I think I was able to get a great impression of the piece from this testing. Fit: I am 6’0” and weight 160 lbs and the Large was the perfect fit for me. 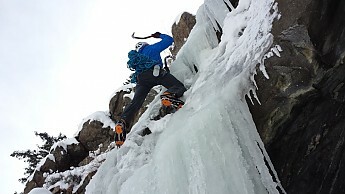 The longer arms work great for ice climbing where you spend a large amount of time reaching above your head. 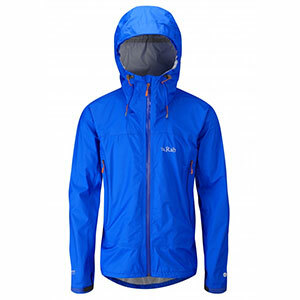 The torso is a nice, relatively trim cut that keeps everything feeling streamlined while climbing or skiing. My brother, who is about 5’ 10” and 190 lbs., tried on the large and it was the right fit for him as well. Construction: The product seems well made and has held up well so far. The Velcro tabs on the cuff are high quality Velcro that looks like die cut pieces, meaning they should not unravel over time. 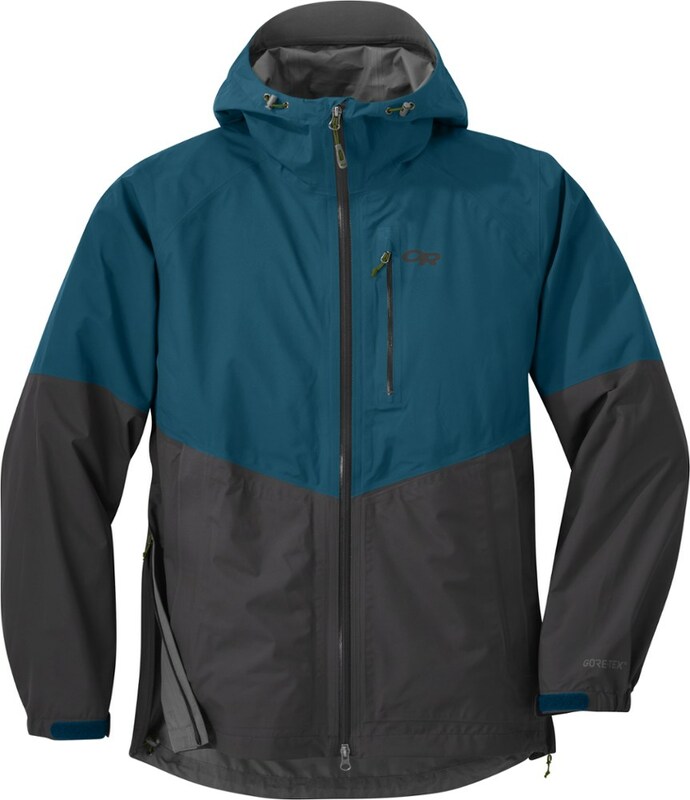 The zippers are nice waterproof YKK zippers that run smooth despite the coating. 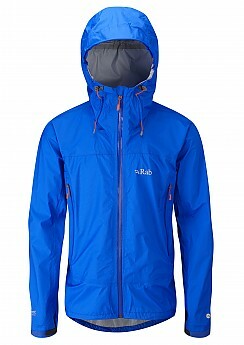 Recommended Layering: The majority of the time that I used the Muztag I used the Rab Strata Flex as my mid-layer. 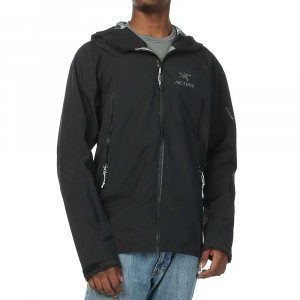 This worked great because the breathability of the Strata Flex complemented the Muztag well. I think the key here is using a mid-layer that doesn’t detract from the Muztag’s breathable membrane. Thanks for the helpful review, Shane. Nice jacket!